Teach Yourself Esperanto is a ready-made sculpture. 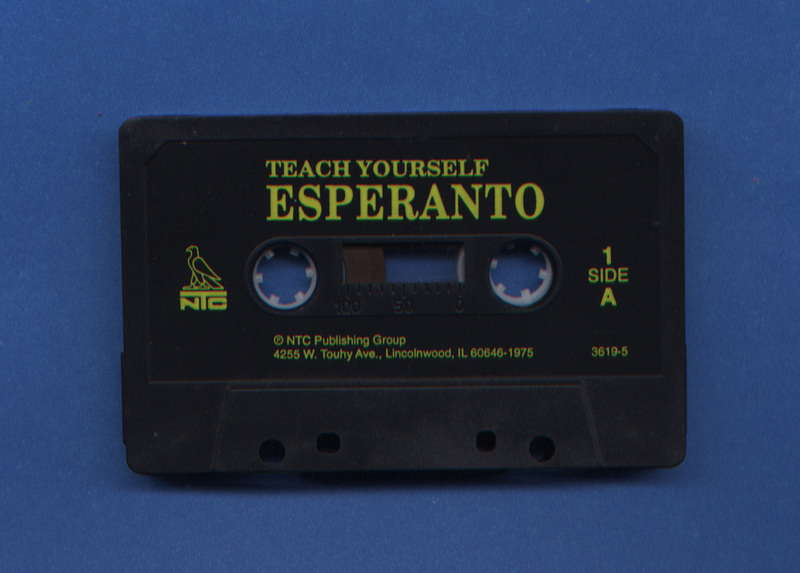 Without having access to the audio contents of the tape, the printed title provides a directive to viewers to embrace Esperanto as an auto-didactic project. Esperanto is a contrived utopian language, developed in 1887 by LL Zamenhof; the cassette’s title implies that one could teach themselves Esperanto (or some new version of it) without requiring any additional information.